We are almost done with the original thirteen colony states! Virginia marks the tenth state to be added into the Union. Becoming a state on June 25, 1788, Virginia was named after Queen Elizabeth I, The Virgin Queen. The state is bordered by two bodies of water, Chesapeake Bay and the Atlantic Ocean while being surrounded by five other states (Kentucky, Maryland, Tennessee, North Carolina, and West Virginia). It is also near Washington DC. Virginia’s state flag is bright blue with a white circle in the center. Inside the center are the words Virginia on top along with the words “Sic Semper Tyrannis,” which means “Thus always to tyrants” in Latin. Also inside the circle are two people. One is the goddess Virtue, who is holding a sword and a spear. Her foot is on a man, who turns out to be the tyrant that she defeated. He has a chain and a whip in his hand while his crown lies fallen nearby. Virginia has more presidents born in this state than any other. Eight presidents-George Washington, Thomas Jefferson, James Madison, James Monroe, William Henry Harrison (who sadly had a very short presidency of 32 days and was the first U.S. president to die in office), John Tyler, Zachary Taylor, and Woodrow Wilson (in beautiful Staunton, to which I have had the honor of visiting a few years back. They have a brilliant Shakespeare house). George Washington’s birthplace in Westmoreland County, Virginia (in Colonial Beach) is marked as a National Monument. There is so much presidential history in this state that it would take a while to get through it all! Food Fact! Virginia is also known for its delicious Virginia Peanuts. They are longer than the standard peanut you find in the grocery store. If you would like more information about the Community Clothes Closet or our fashion show please visit them here. New Hampshire, tucked away in the very upper right hand corner of the US, is the ninth state in the United States. Becoming a state on June 21, 1788, it is the 46th largest state in the United States.This state is near Maine, Massachusetts, and Vermont, plus it is also nearby to Canada. Although the state flag for New Hampshire was designed in 1784, it was not adopted until 1909. The state flag of New Hampshire consists of a blue background and it features the state seal. Inside the seal has a ship sailing towards a large granite rock on clear blue waters. Behind the ship is a rising sun just below the horizon. Surrounding the seal is the words “Seal of the State of New Hampshire, 1776” along with yellow stars and laurel leaves circling outside. New Hampshire got its name when it was named after the English county of Hampshire. It was named by a man named John Mason, who lived in Hampshire, England, as a child. He invested very heavily in this new land, clearing land and building houses in New Hampshire, but had died before he was able to even see his new land. Nickname: The state’s nickname is “The Granite State” due to the fact that most of the mountains are made of granite. Size Matters! This state is so small in size that there is only one area code for the entire state! More Flag Fun: The largest American flag in the US was made in this state in 1914, measuring at 90 feet long and 50 feet high! While South Carolina became the 8th state on May 23, 1788, a flag was not chosen until January 28, 1861. The flag is entirely blue with a white palmetto tree in the center while a white crescent is placed to the upper left hand corner. According to the official South Carolina website, the original version of the flag was designed by Colonel William Moultrie which consisted of only a white crescent on a blue field. Moultrie picked blue because it matched the uniforms his troops wore during the Revolutionary War while the crescent which resembled the silver emblem worn on their caps. Once the palmetto tree was added later on, it is explained that the tree represented Colonel Moultrie’s heroic defense of the palmetto log fort on Sullivan’s Island against the attack of the British fleet on June 28, 1776. In South Carolina, tea is the official hospitality beverage of the state. This was designated to the state in 1995 after a bill was passed. South Carolina is the first state in the United States to grow tea. One of the most popular beverage s is the sweet tea, which is made by adding sugar to black tea while it is still hot, and is usually served iced. How it got its name: South Carolina was named after King Charles I of England, the Latin version of his name being Carolus. He was the one who granted the land to Sir Robert Heath in 1629 in which to start his colony. 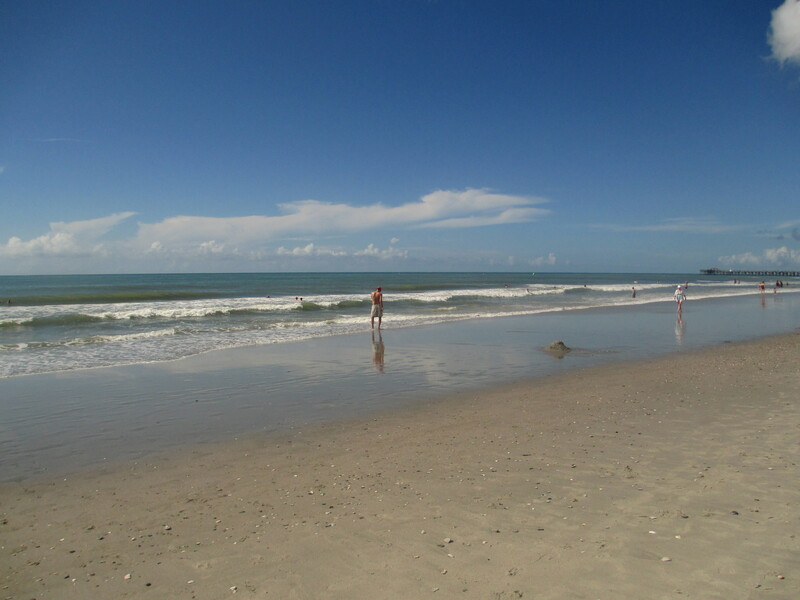 Popular places to go: Myrtle Beach, South Carolina. In the center of the Grand Strand, this coastal city gets over 14 million visitors every year. Beachgoers go swimming, walking on the boardwalk, and attend events. The seventh state to enter the union is Maryland on April 28, 1788 when it ratified the federal constitution. The state was named after the queen consort Henrietta Maria, who was married to King Charles I of Britain. It is the 42nd biggest state in the nation but is the 19th most populous state. The state flag of Maryland is a rather colorful one. This flag is the only state flag based on the British coats of arms. The flag’s design was inspired by the coat of arms adopted by George Calvert (1579-1632), who was the first Lord of Baltimore. The alternating gold and black squares and rectangles come from Calvert’s family shield while the red and white crosses are inspired by Calvert’s maternal family the Crosslands. This flag was first flown on October 11, 1880 in Baltimore at a parade marking the 150th anniversary of its founding. It was also flown at other historical events but the flag was not officially adopted until 1904. The state is a largely coastal state. Chesapeake Bay is the largest body of water in the state of Maryland. There are also nearly 50 rivers, lakes, ponds, streams, and creeks in addition to the Atlantic Ocean. Maryland is largely known for the crab due to it being the state crustacean (actually, the Maryland Blue Crab), one of three states who has a state crustacean. The blue crab is a treat for seafood lovers who live in and visit the state. State Bird: Maryland’s State Bird is the Baltimore Oriole, which is the same name as its Major League Baseball Team. Food: Try a crab cake once you’re in Maryland!